Business Analysis refers to the process of enabling changes in the organizational structure by identifying the requirements and open solutions which can provide value to the stakeholders. It is used for meeting the objective or resolving any issue within the organization using various Tools and techniques it would help the top level management in making better decision making. 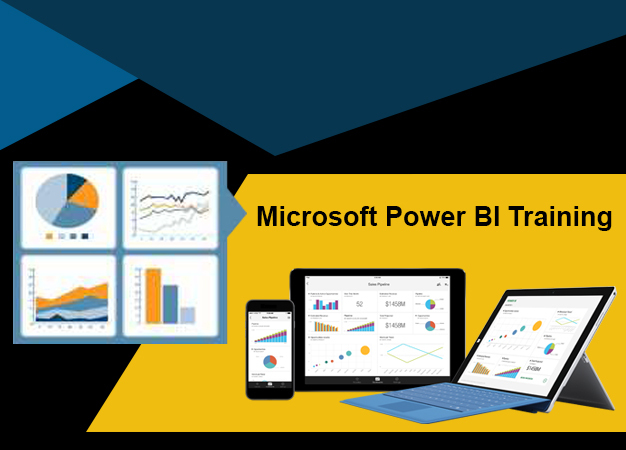 There are various tools utilized for performing business analysis suggest Microsoft advanced Excel, Microsoft Power BI, MS Access and SQL, Base SAS and R-programming. Anyone who is willing to enter into the field of Business Analysis must have skills and expertise in all these tools. The Business Analyst Training Course in Gurgaon provided by SLA Consultants Gurgaon will help the participants in learning best practices on how to utilize Data Analytics in order to make the company more profitable and competitive. The specialized Business Analyst Certification Training Program is designed by industry experts while keeping in mind the current industry requirements which will be conducted by the most reliable and highly certified subject matter experts with over 10 years of experience in relevant field. The 90 hours of Business Analysis Training Course covers all the important aspects of Data and Business Analysis along with Tools and techniques making the participant an expert in Business Analytics within a short span of time. The candidate will recognize the most innovative and Critical business metrics along with distribution them from different data. There is a strict requirement for professional Data Analysts in the country as every business organization regardless of their size wants to better understand their business structure, competition in the market, revenue drivers, issues associated with their company, increasing the customer satisfaction level along with achieving growth. By hiring an expert business analyst, the company will be able to perform Data Analytics on Big Data which can be used to deliver better solutions for the company and enhance their business process. The Business Analyst Training Course in Gurgaon is targeted towards both freshers and working professionals who want to learn and enhance their current Data Analytics skills in order to achieve growth in their career. The specialized Business Analysis Training Program is designed to introduce Big Data Analytics to all the business professionals including those with no prior experience in Data Analytics. The applicants will learn data analysis, predicting and informing business decisions in various fields such as Human Resource, marketing, finance and operations. The participants will also develop basic data literacy along with analytical mind allowing them to make better decisions based on the information. The program consists of Business Analysis Practical Training Classes/Sessions that will help the candidate apply scales in order to interpret Real world data sets and make better business strategy recommendations. Upon completion of the Business Analyst Training, all the participants will be able to fulfill the job requirements of professional Business Analysts which include explaining how the data is used for recruiting and performance evaluation, modeling supply and demand for different business scenarios, resolving business issues with data driven decision making, understanding the tools and techniques used for predicting the customer behaviour, perform complicated data analysis functions with the help of powerful tools such as Microsoft, MySQL and Access, Base SAS and R-Programming. The participants will also learn the practices for using Data Analytics and organised critical business metrics along with understanding various roles of Business Analyst and Data Scientist. The Business Analyst Practical Training Course in Gurgaon provides an appropriate platform for the participants to learn and master Data Analytics and Business Analytics functions with live projects and hands on experience. After successful completion of the project, you will get Real world knowledge of how to perform Business Analysis using various Data Analytics tools efficiently. At SLA Consultants Gurgaon, the candidates can have flexible batch timings with weekdays and weekend classes, modern lab facility, Business Analyst Workshop Sessions and exceptional administration support for Rescheduling and arranging backup classes. After successful completion of the Business Analyst in MS Excel Training, the participants will be provided with a certification which you can share with the prospective employers and professional network which will be useful for you to acquire a promising job. Not only that, 100% Job Placement Support is also offered including mock interviews and personality development training to help the participant become a job ready professional. There is an increased demand for professional Business Analysts in the market which is expected to increase greatly in the next few years. After acquiring skills in Business Analysis and Data Analytics tools, you will become a highly demanding professional in the market who will be in constant demand in various reputed organizations. There are various job profiles which you can pursue after acquiring skills in Business Analysis such as Data Analyst, Data Scientist, Business Intelligence Professional, Senior Analyst, Data Manager, etc. One of the main reasons of acquiring skills in Business Analysis is the pay scale involved as professional Business Analysts are paid extremely well with an average income of 8 lakh per annum as of 2018. Various digital organizations such as Amazon, Airbnb and Uber are transforming their companies using creative utilization of big data, and thus, are in extreme requirements of professional business analysts with analytical skills. After knowing all these benefits, if you have made up your mind to learn Business Analysis, then you can visit our Business Analyst Training Institute in Gurgaon and attend our free demo class to get a better idea about our course curriculum and teachers. For more information you can give us a call or submit your quotation on our official website. What is the scope of business analysis in India? There is a tremendous scope for Business Analysis in India as business organizations have now we can to understand the importance of information in the decision making process and expansion of the business. What is the eligibility criteria to join the Business Analyst certification course? The candidate needs to have a graduation degree in the commerce field in order to attend the Business Analyst certification training program. What is the refund policy for the Business Analyst training course? If the student does not like the Business Analysis Training Course, then we will refund the full amount after a small deduction of service fee. I have knowledge of advanced MS Excel. Can I attend other models as well? Yes, you can attend other modules in the Business Analysis Training Course Gurgaon for which, the course fee and timings will be different. Will I receive practical classes in Business Analysis certification training? Yes, the participants will be provided with Business Analysis Live Practical Training along with projects to get hands on experience in Business Analysis. How much salary I can expect after completing the Business Analysis practical training course? It all depends on your expertise and abilities in the field, however, after completing the Business Analysis Certification Training, you will receive an average income of 3 lakh per annum as a fresher.